And this is what your napkin looks like after the meal, loosely gathered and placed to the left of your place setting. Yeah, I know you think you know how to use a napkin, but from my observations, there are some finer points to napkin etiquette that not everyone is aware of. Lunch napkins- lunch napkins are smaller than dinner napkins. You don’t fold it when putting it in your lap. 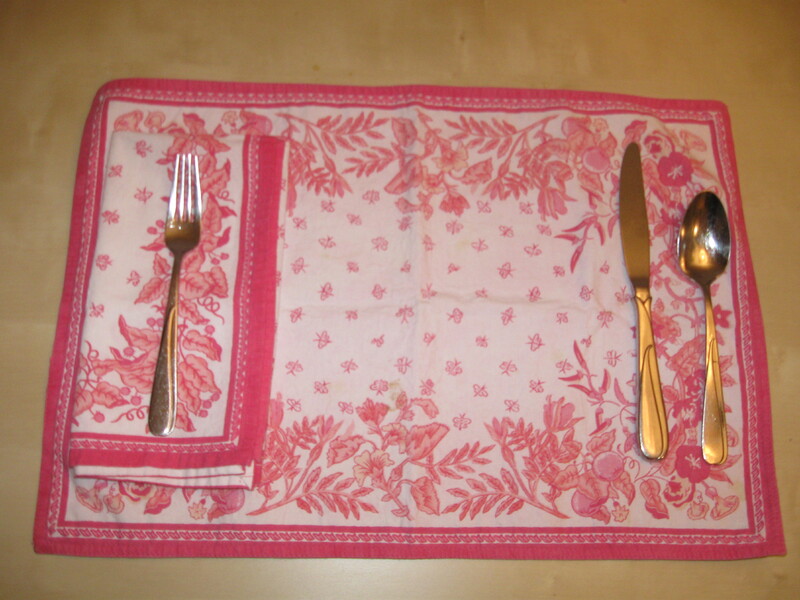 Dinner napkins- are the biggest napkin, and you fold it in half before putting it on your lap. Cocktail napkins- are small and are mostly used to put around the bottom of your drink. When eating meals, always put your napkin across your lap (I even do this when eating lunch at my desk at work…there is such a thing as taking etiquette too far!). 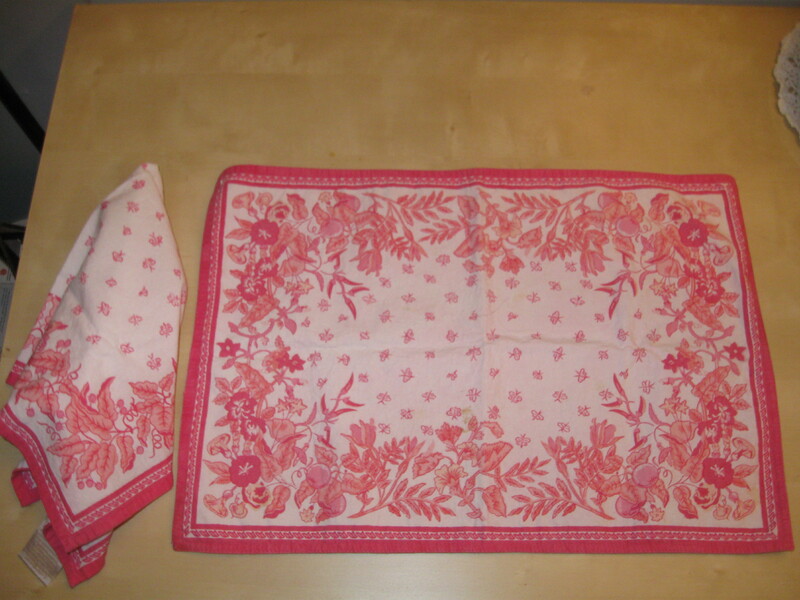 You never refold your napkin at the end of the meal, you gather it loosely and place it next to your place setting. Napkin rings are used to hold a used napkin for the next meal (and they should be different…or if you are a WASP, monogrammed…so everyone knows which belongs to them), but this should only be done with immediate family. Nowadays, napkin rings are used more for additional decoration. Napkins must never be tucked into the collar, except for very small children. If you need to leave the table during the meal, loosely gather the napkin and place it next to your plate (try to have the least dirty side facing up). It is generally recommended not to leave the napkin on your chair, as it will dirty the fabric of the chair cushion. 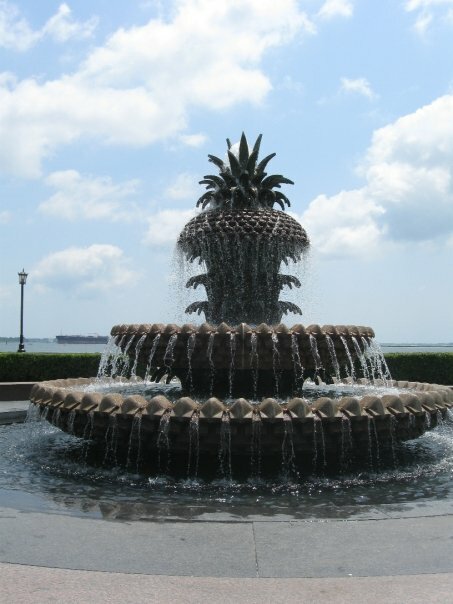 Charleston has this amazing pineapple fountain to symbolize it’s famous hospitality. Just a few traditional symbols we associate with hospitality. Since pineapple was tropical and difficult to import it was very rare. So a sailor would come home and impale one on the fence of his house to show that “the man of the house” was home and people could come visit. Since it was expensive and hard to come by, colonial families would serve pineapple as a special dessert when guests came to visit and then the guest would sleep in the bed with pineapples carved on it. It is also said that when a guest had overstayed his welcome, you would place a pineapple at the foot of his bed and he would know that it was time to leave. From this history, pineapples became a very popular motif, especially in the South where you can find pineapple designs on everything. A courting candle was used back in the day to mark the amount of time that a suitor was allowed to visit. Once the candle burned down to the top of the candle holder, he had to leave. The trick was that the candle could be adjusted so that it could be really tall, giving the suitor a lot of time, or really short so his stay would be brief. This is a real thing in Slavic countries, with special decorated ritual bread and salt dishes. The women of the family present the bread and salt to the guest and the guest dips the bread into the salt and eats it. 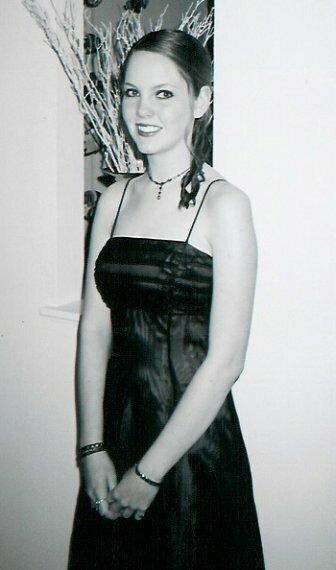 However, when I had it in my head as a traditional historical custom that meant that the guest could come to no harm in the host’s house, it turns out that I was thinking of the custom from Game of Thrones and not a real thing. Maybe we are due for a post on etiquette in fiction? There is a good chance that all of these are folklore more than historical fact, but they are still pretty interesting, no? If you’ve been reading Uncommon Courtesy for a while, you’ll notice we talk about Emily Post a lot. Obviously a lot of that is because Emily Post is pretty much the first name in etiquette (apologies to Miss Manners). Part of that is because of her ubiquitousness, but also because her original Etiquette holds up so well as an entertaining read. 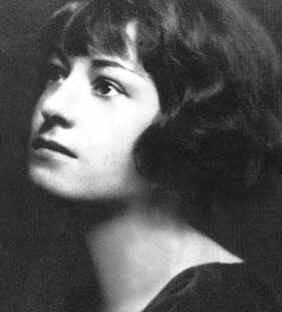 Dorothy Parker, as a staff writer for The New Yorker in 1927, thought so too and wrote a really wonderful review of that year’s edition of the book. She saw it as a story (Emily Post was originally a novelist!) 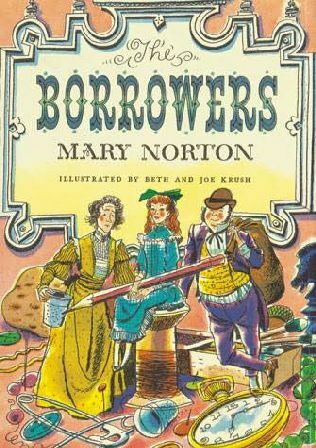 as much as a series of instructions, noting that the addition of a repeating set of characters “gives the work all the force and the application of a morality play.” Legend has it that the Mrs. Worldlys and Mr. Gildings of the book were based on the real people of upper New York society that Emily Post knew. While she loves the “sprightliness of Mrs. Post’s style,” Parker finds fault with the person who perfectly follows every rule of the lengthy tome. Of course, this is part of what we are trying to accomplish in our discussions on etiquette here on Uncommon Courtesy, exactly how to find the balance between the perfectly polite while still retaining your personality and meshing all the different ideas that people have about etiquette with what is generally considered to be correct. Anyway, go read the whole essay, it’s fantastic.